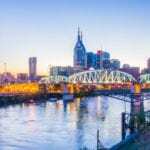 NASHVILL, TN — Freeman Webb Company has hired Frank Daniels III to oversee the management, strategic direction and tactical operation of its recently acquired news media outlets, which include the Nashville Scene, Nfocus and the Nashville Post. Daniels will join existing leadership at the three media outlets, which will include publisher Amy Mularski, CFO Todd Patton, Scene editor D. Patrick Rodgers, Nfocus editor Nancy Floyd and Post editor Geert De Lombaerde. Daniels has served most recently with The Tennessean as Metro columnist and member of the Editorial Board. He has a long history in the newspaper and publishing industries. He was executive editor of The News & Observer (Raleigh, NC), where his team launched the first daily internet newspaper, The NandO Times, and won the 1995 Pulitzer Prize for Public Service. After the NandO was sold to McClatchy Newspapers, Daniels co-founded two Internet-based media companies. When those companies were sold, he joined Vital Source Technologies, a software company that provides digital publishing and curriculum solutions to schools and universities, as president and CEO. After Vital Source was acquired by Ingram Content Group, Daniels served as Chief Operating Officer and Chief Commercial Officer of Ingram Digital, which provides products and services to the publishing industry. He was inducted into the North Carolina Journalism Hall of Fame in 2012, and he is a partner in The Pilot, a Southern Pines, NC, newspaper, Business North Carolina, and three local magazines. Freeman Webb Company is the largest owner/manager of apartments in Tennessee. Freeman Webb is also one of the largest in the Southeast, with over 16,000 apartment units and 1 million square feet of office space in Tennessee, Alabama, Missouri, Georgia and Mississippi. The Institute of Real Estate Management named them the 2017 National Property Management Company of the Year, along with many other local and regional accolades. 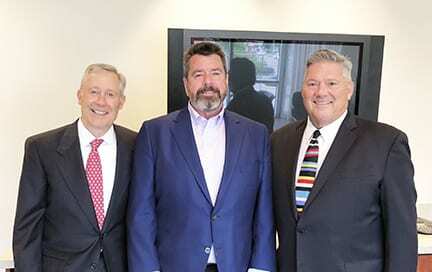 Freeman Webb Company acquired the Nashville Scene, Nfocus and the Nashville Post in May 2018, their first venture into the publishing industry.